or it has been reduced using pipe fittings or other adapters, look closely and see if there are any adapters threaded into the coupling. 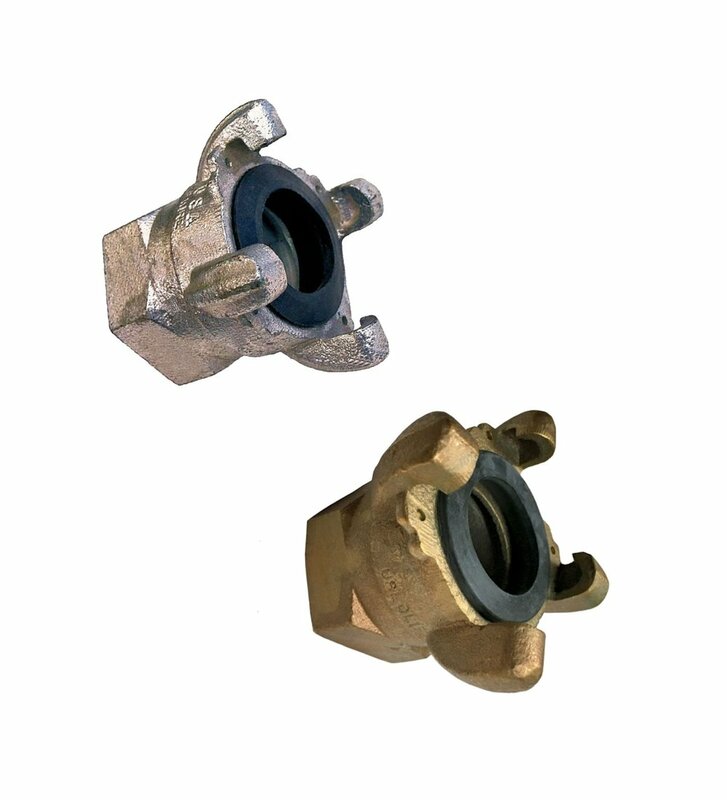 4 Lug couplings have the same pressure rating and application recommendations, but are larger and have two extra lugs to create a secure leak-free connection for larger diameter hose lines. No 2-Lug to 4-Lug adapter is offered. One can be made using a bell or swage reducer or other couplings. For additional information and detail, please see this blog post on coupling dimensions. Please contact us if you need identify a coupling that does not match anything shown on this site.